The world of sofa shopping can be vast and intimidating. Your couch is your safe space, your welcoming embrace when you get home from a long day of work, the centrepiece of your living room décor – you want to make sure you’re picking out the perfect one. And if you’ve been hanging onto the same old, reliable couch that’s been collecting dust and stains in the corner for a decade, it can be hard to make the jump into something new. But rest assured, Palliser Furniture has your back. 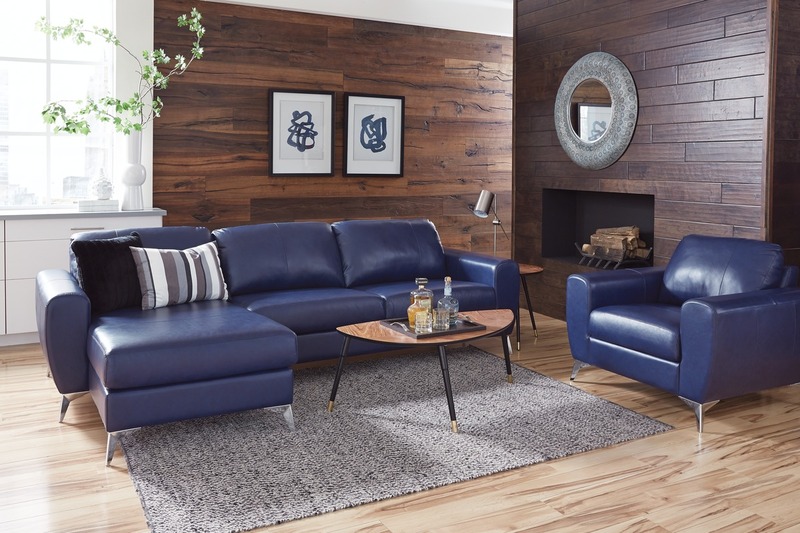 Palliser’s vast selection of sofas are the perfect complement to your style – and your comfort. We’ve got several stunning models available – but which one is right for your space? Check out our handy guide to Palliser sofa styles to figure out which one will suit you just right! If you’ve got a house fit for a king and want to make all your guests feel like royalty too, bringing home a sectional is the perfect way to do it! These sprawling sofas fit in perfectly with every home design and give you and your guests plenty of space to get comfy. Though they’re especially great for maximizing floor space in large rooms, smaller homes can easily get the luxury treatment too. Chaise sofas give you a little extra room to sprawl out, while keeping the sofa’s width compact. Do you like to get low? Like, really really low? A reclining couch is the perfect style for the comfort-minded individual! These sofas come in all shapes, sizes and styles, so you can keep your living room sleek and add a little extra comfort to your space at the same time. Loveseats, sectionals, and classic-style sofas are all available with the ability to recline, so sit back, relax and enjoy your favourite TV show from way down low. Go ahead, catch a few Z’s! We won’t judge! Cute and cozy, loveseats are perfect for filling an awkward corner or taking the place of a couch in smaller homes. Loveseats have all the comfort of a sofa, but in a stylish, compact size. There are lots of varieties of this comfy seating option too, so you can find one to suit you no matter your style or space. Settee loveseats have a high, straight back and a comes in classic and contemporary looks. Divans, a type of loveseat without a back or arms, are a great slim seating option for the end of beds or window seats that can’t quite fit a couch. Multifunctional sofas are the perfect option for a compact home! If you love to entertain but don’t quite have the space to give your guests a whole room of their own, a sleeper sofa or futon is a great choice. These multitasking sofabeds can either pull out or fold down, so evening guests don’t have to squeeze or crane their necks to get a good night’s sleep at your place. If you’re big on naps, they can also be a great way to catch a few Z’s on a lazy afternoon. The best part is that with a sleeper from Palliser Furniture, you get both style and convenience! Your multitasking Palliser furniture isn’t just functional, it looks great in your home as well. Come on by our store to check out some of the great options we have in stock from Palliser. Of course, there’s nothing wrong with playing it safe and taking home a traditional sofa. Palliser offers several shapes, colours, and styles, so you can always pick the perfect option for your home. 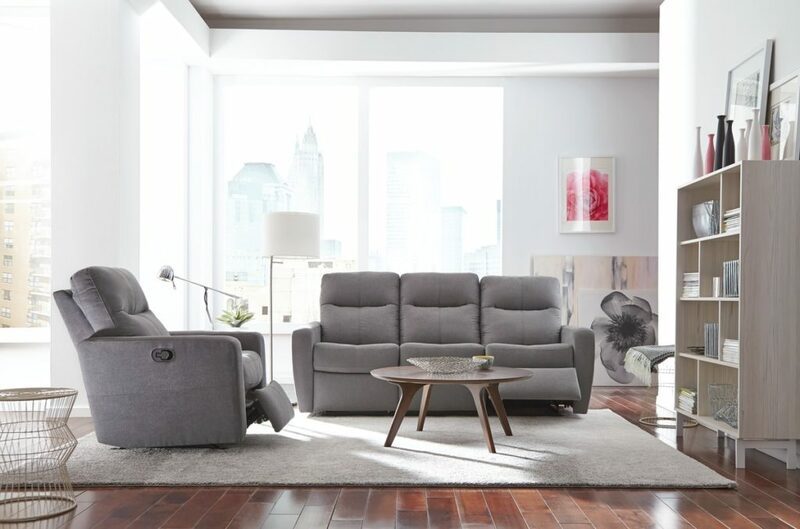 Try out a sleek, contemporary couch or a transitional one with padded armrests. Minimalist mid-century modern and sharp, square-armed sofas are also on trend. With a classic sofa, you are free to explore any and every combination of colours, styles, and designs you can imagine, all thanks to Palliser! With Palliser, there’s no wrong choice for your space! Whether you need a mega-sofa for all your friends, or a loveseat just for you and your honey, come by our store to check out all of our incredible selections from Palliser. Be sure to try them all out before you buy! You might be surprised by the style you’re most drawn to.